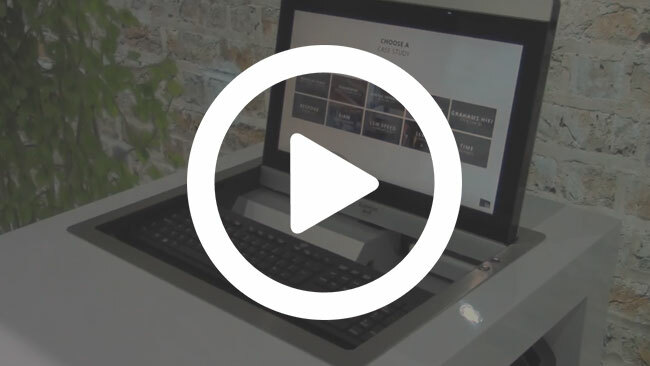 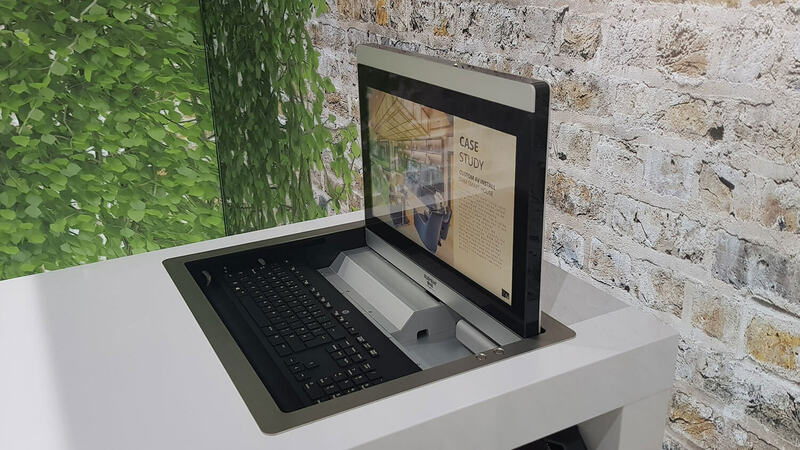 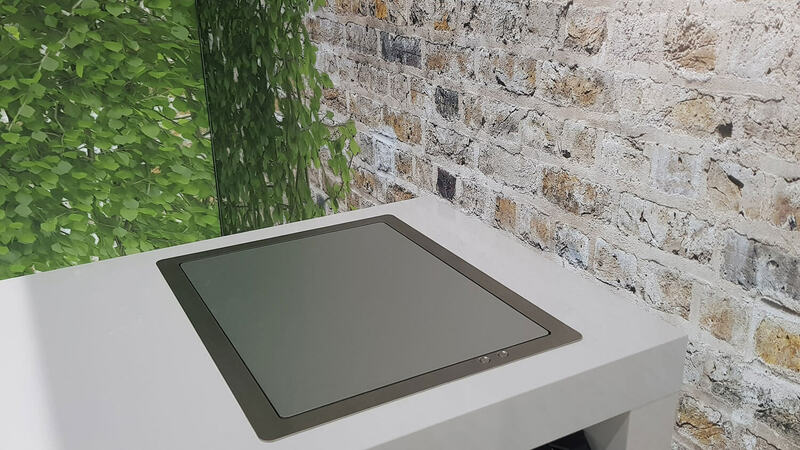 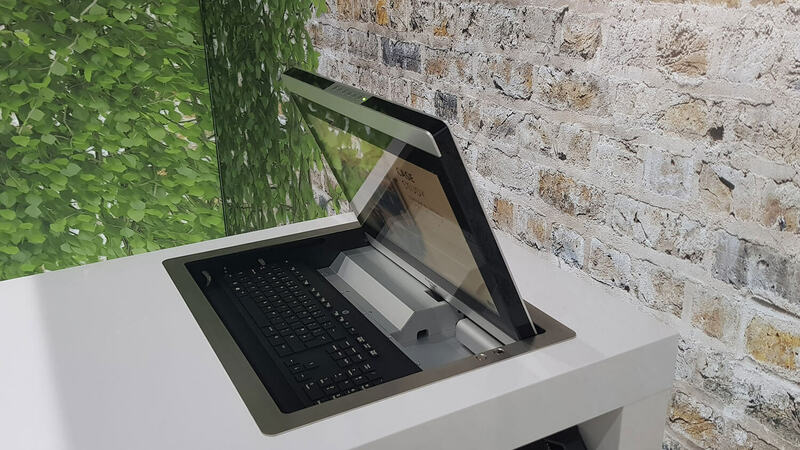 The MODIS is a hidden when closed, hinging monitor (touchscreen available) designed to be integrated into a desk or table surface mainly used in boardroom environments. 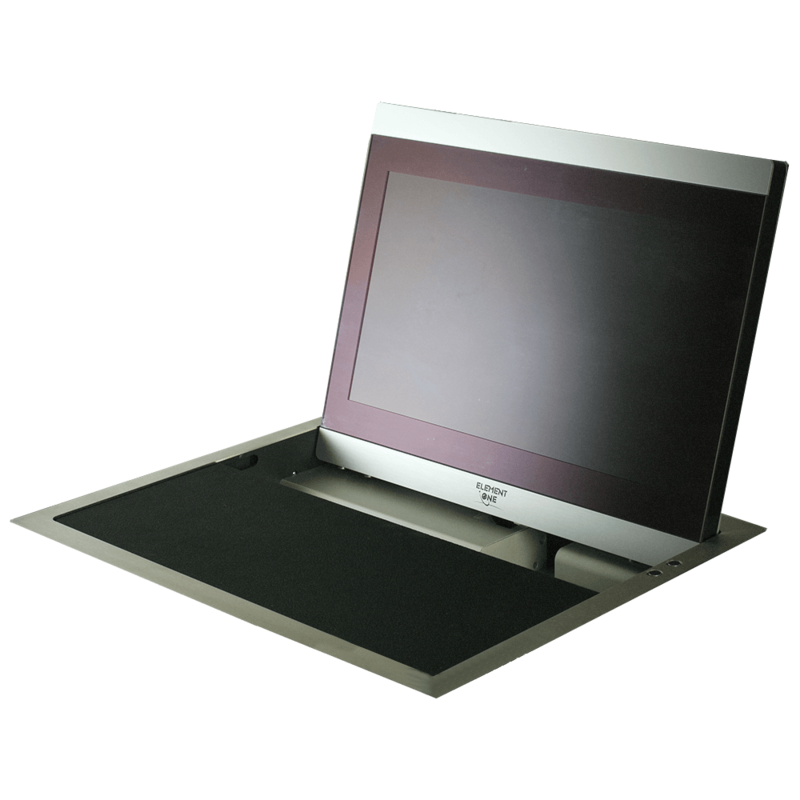 At the touch of a button, the FullHD monitor hinges up from the default horizontal position to a preset angle. 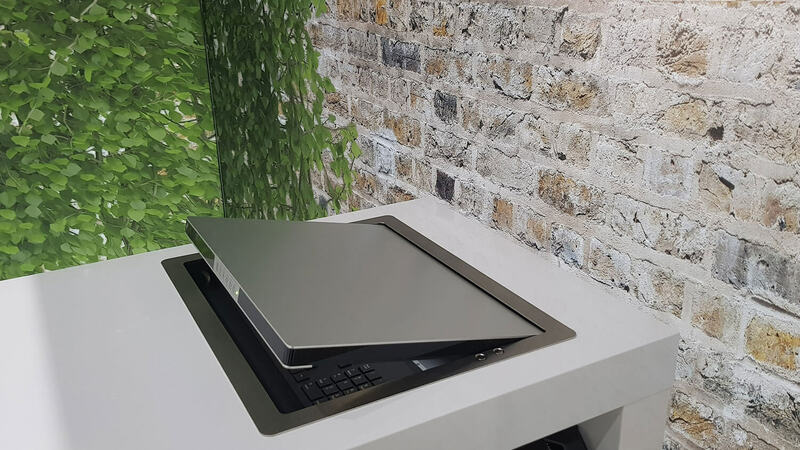 An interchangeable keyboard shelf rises into position as the screen hinges towards the perfect viewing angle.